It's that time again! 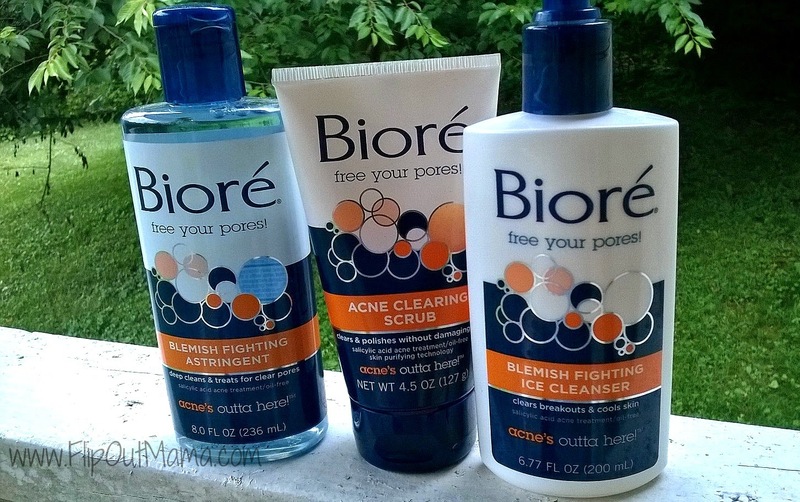 Today's Must Have Monday comes to us courtesy of Biore! I have been a long time fan of Biore and their wonderful skin care products, so I am always happy to help promote them and share the lastest and greatest with y'all! We recently got a chance to try out some of Biore's newest products, and as usual, I was impressed! The first item we tried was the Blemish Fighting Ice Cleanser, which I love because it is oil free. It contains 2% salicylic acid, so it is effective without being "too much". I love, love LOVE the fresh clean smell and for my combination/oily skin, it's perfect. It didn't dry my skin out too much. After using it, I used my normal moisturizer and there were no problems at all. Next, we tried the Acne Clearing Scrub. I think this product was my favorite of the three that we got to try. I think I am just partial to any product that has any kind of "scrubbing" ability, it just makes me feel like my skin is cleaner. The scent is a mandarin mint, which is really uplifting and energizing, especially when you use it in the morning. My skin really felt a lot cleaner after using this scrub for a few days. The final Biore product we tried out was the Blemish Fighting Astringent. I absolutely love astringent/toner. I feel like it is one of the very few things that really gets down deep into my pores to clean them out. I really like this one in particular! I am already a big fan of Biore fan , but these awesome products have sold me on the brand even more! The best part is that these products are super affordable, and available at almost every single local drugstore for under $7! Love it! Make sure to check out Biore products at your local store and you can learn more online at http://www.biore.com/.